I am interested in understanding how to balance land-based livelihoods with conservation of natural resources. These questions become especially complex in a context of warming climates and more variable precipitation patterns. Here are several projects that illustrate the type of conservation questions that I pursue. Project: In Colorado’s Gunnison Basin, ranchers own the majority of water rights and productive river bottoms, and approximately 30% of the most important Gunnison Sage-grouse habitat. This project uses interviews to document how ranchers plan to respond if the grouse is listed. Take away: Results suggest that listing may result in the sale of water rights that could negatively impact grouse habitat, ecology, aesthetics and livelihoods in the region. Ethnographic studies are critical for understanding the tradeoffs between livelihoods and conservation in an increasingly interconnected world. Knapp, C., F.S. Chapin, J. Cochran. 2015. Ranch owner perceptions and planned actions in response to a proposed Endangered Species Act listing. Rangeland Ecology & Management. 68: 453-460. Project: The National Park Service (NPS) in Alaska has adopted scenario planning as a tool for understanding and adapting to climate change. This study evaluates the effectiveness of a series of scenario planning workshops. of uncertainty, and the ability to learn from others across disciplines and backgrounds. Challenges include ensuring adequate feedback and follow-through after the initial process, making products tangible and meaningful to participants, and providing specific mechanisms for applying the process beyond the workshop. Suggestions for improvement included institutionalizing the process so that it can have more impact at the organizational level, and recognizing and preparing for the challenges of coproduction of knowledge. 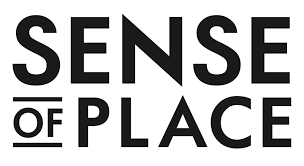 Take away: Results suggest that sense of place is a complex, varied, and can have positive and negative attributes. It is also not static, and can be a motivator for conservation actions at larger scales. I plan to continue to explore the role of sense of place in adaptation efforts. 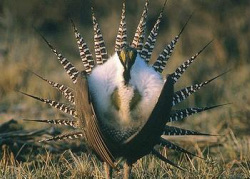 Project: This study uses interviews with long-term observers, including professional biologists and lay people, to document observations of sage grouse behavior, habitat and management that may help to better understand and conserve this species. Take away: Comparisons between local knowledge and peer-reviewed scientific literature suggest that consideration of local observations can expand our overall understanding of rare species and suggest innovative strategies for management. Contradictions between local knowledge and scientific research highlight differences in the way these different groups bound the process of knowledge production. This study highlights the importance of engaging local knowledge for conservation to better understand both the species and the context in which conservation occurs.